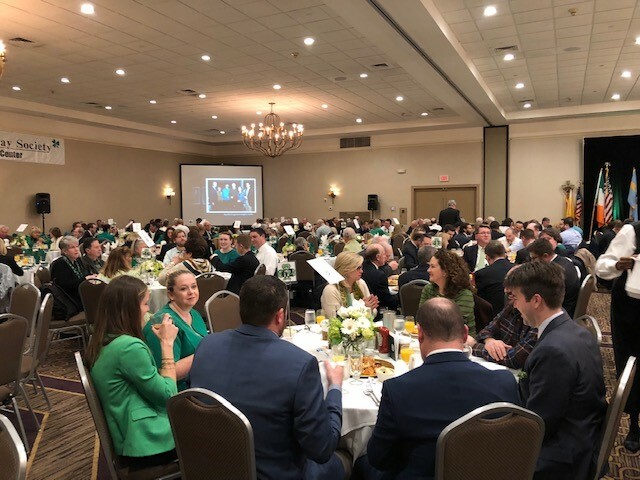 Tarabicos Grosso was a proud sponsor of the 26th Annual Saint Patrick’s Day Society Sponsors’ Dinner and Communion Breakfast held on March 14th and 15th in Wilmington, Delaware. The two-day event is the Saint Patrick Day Society’s primary annual fundraising effort to benefit the Saint Patrick’s Center. Since 1971, Saint Patrick’s Center has been serving the City of Wilmington’s elderly, disadvantaged, and homeless with a range of programs and services, including food, day shelter for the homeless, clothing, transportation, and senior activities in a welcoming, dignified, and caring environment. The team at Tarabicos Grosso wishes the Saint Patrick’s Day Society continued success in their important mission to improve the lives of local community members in need. A full audience at the 26th Annual Communion Breakfast held at the Doubletree Hotel and Conference Center in Downtown Wilmington. 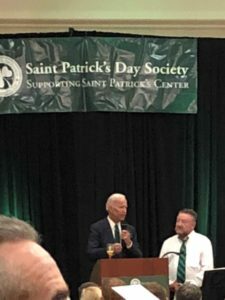 Former Vice President Joe Biden made a surprise appearance at the breakfast.